This is another easy one room drama piece that serves its purpose without changing the world in which it is played out too much. The idea that words that are spoken onto a tape could take on the physical form of their description, and can then be just as easily negated by taking that piece of tape and destroying it, is an original one and works well. It’s also amusing when Gregory’s wife Victoria doesn’t believe he can do this, even when she twice witnesses him creating and then erasing such physical objects. The twist works nicely when he goes to his safe and pulls out a tape labelled Victoria and offers it to her. The fact that she goes ahead and erases herself from existence nicely puts a top on the episode. 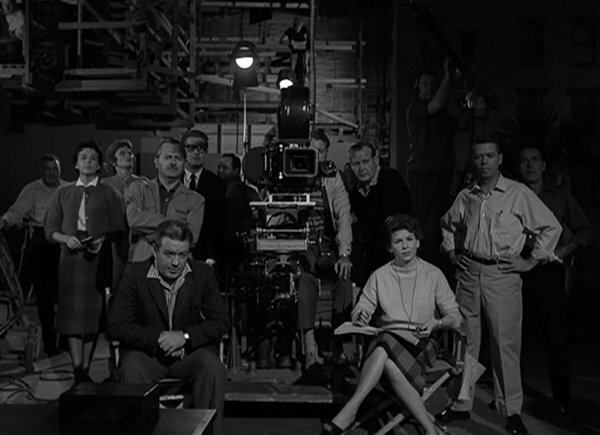 As does the final scene, where Gregory even erases Rod Serling as he options out the end of the episode. Yeah… well… there’s no so much Twilight Zone in this as a robot sci-fi tale, and one that in the long run doesn’t really get anywhere apart form about two minutes of the episode. 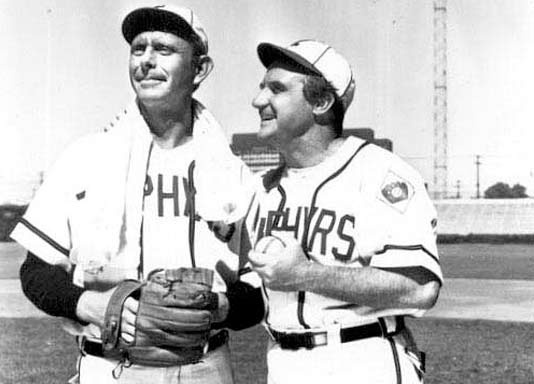 The idea of a broken down losing baseball team is not unusual, and the idea of importing something in to help that team also not unusual. The fact that a robot comes in to become the team’s pitcher, and starts firing out opponents left right and centre works okay. And yes, you know eventually they will be found out and the robot will be taken out of the team. The idea of introducing a heart to the robot in order to qualify as being human is okay, but it is the idea that the robot will then refuse to throw fastballs anymore because he doesn’t want his opponent hurt that is the best part of the episode. Unfortunately it also kills off the rest of the story. Another of the best episodes from the first series, with a story that keeps you guessing until the very end, and also with an ending that doesn’t feel contrived or particularly downbeat. As always, the episode is well constructed, with Marsha White coming into a department store to do some shopping. She is taken to the top floor, which she discovers is completely desolate. Her confusion continues when she is served by the one woman on the floor, and taken to the one item on the floor for sale, a thimble which is exactly what she is looking for. As the episode unwinds further and she descends to gain a refund for her ‘damaged’ product, she begins to see mannequins that have an uncanny likeness to people she has seen around the store. 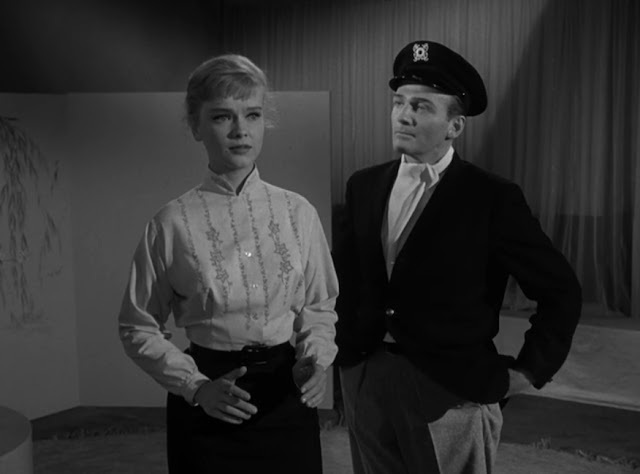 The confusion and tension rises throughout the episode, as not only Marsha but the viewers try to ascertain what is happening, and why she appears to be losing her mind (a common theme on the Twilight Zone). When the conclusion is reached, rather than a nasty surprise, we are confronted by the twist of the story, which is accepted placidly by all concerned. Whether you enjoy the closing act is probably up to the individual, but as a story I enjoy it as well as the gradual build to the conclusion. The trouble with the guardian angel scenario, certainly here in this series, is that it isn’t the only occasion that it is used, and it is probably used better later on. Everything about this story is more or less predictable. Average Joe Mr. Bevis manages to lose his job, his car and his apartment all on the same day. Enter his guardian angel, and he awakes to find he has success at work, his rent paid and a brand new car. Of course, in order to keep this he must make changes to his life, which he isn’t keen on doing, so the only choice is to return to the scenario he had before. Again, it passes the time for half an hour, but that’s about all this episode does. It’s okay, and it is harmless, but it doesn’t engender any real feelings of being an unforgettable piece of television. 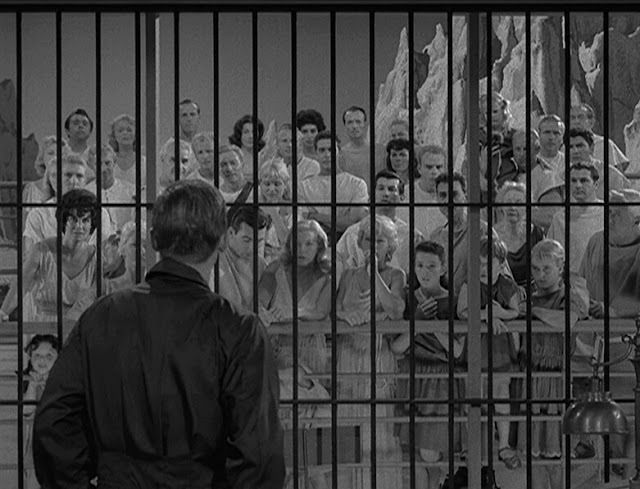 Another allegory piece by Rod Serling, giving another of his down-and-out characters a chance to seek redemption, or at least a second chance. When Joey decides he has nothing left to live for, he steps in front of a truck to end it all. Sometime later he awakes, and discovers that no one around him can see him, thus believing he is dead. Wandering around, he comes to a club, and strikes up a conversation with another man, who tells him he is in a holding pattern, not dead yet, and that if he so wished he could return back to the land of the living. The episode certainly tries to show that even if you think you have nothing worth living for, if you look a little harder you’ll find that it isn’t worth dying over. It’s a pleasant enough notion, but as an episode of the Twilight Zone, I don’t find it particularly enthralling as a part of this series. This kind of story has been done in both print and screen in many different ways over the years, so while the idea has been around for quite a while it still needs to be done well to catch the attention. Does it here? I don’t know. My problem with the episode is that neither of the main characters are particularly likeable in any way, which makes it difficult to get yourself involved in the episode. Roger comes across as a hard-work-to-please kind of guy, firstly absolutely desiring the attention of his ‘love’ Leila, such that he buys a love potion so that she will direct all her attention to him. Of course, once she does, he finds her so constricting he wants to do away with her. On the other hand, Leila is just annoying in either format, firstly as the woman who wants nothing to do with Roger, and then as the one who is infatuated with him. Annoying both ways – why would you want that? So there we have it. Two annoying characters in a slightly annoying episode. The story is fine, but it is hard to watch. 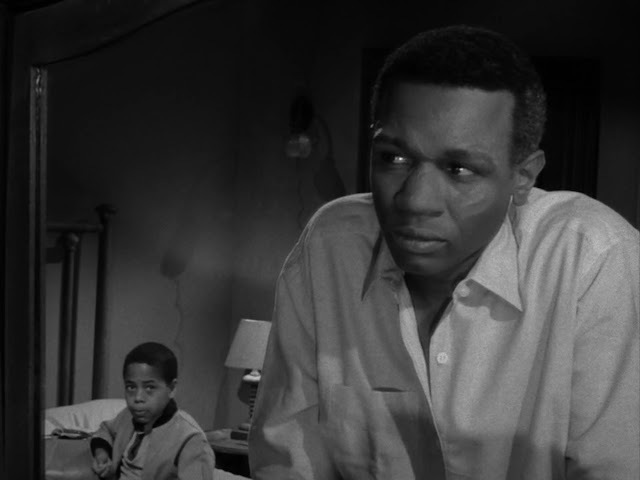 Now we are back on the right track (no pun intended), with an episode that you can once again decide if the star of the episode is simply a victim of his own mind or has skipped over into that other dimension called the Twilight Zone. Gart Williams is having a tough old time, as often is the case for people in episodes of this series. He’s struggling in the workplace, being driven into the ground by his boss. His protégé has scarpered to another agency with the big account that he gave to him to handle, and his wife is simply a huge pain in the arse. Is it any wonder that he not only has a frayed mental state, but suddenly starts seeing places that aren’t really there? When he falls asleep on the train on the way home, he is jolted away to the stop at Willoughby, which is bathed in sunshine and looks to be a place in the past. Then the jolt of the train moving off bring him back to his ‘reality’. Each time, his determination to get off grows stronger. Once again the end of the episode ties in nicely to all of these factors. To those present it appears that Williams has simply stepped off the train and died (with the added bonus of the hearse coming from ‘Willoughby & Sons’). 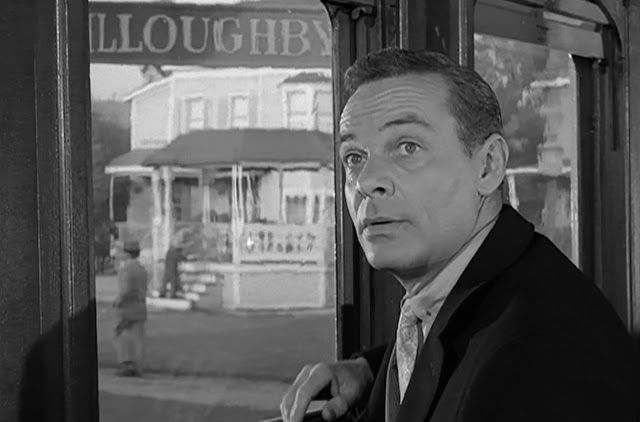 But has he actually moved to Willoughby, which resides in the Twilight Zone? Terrific. And well written. Another of those not-so-nice episodes, with Rod Serling once again ensuring the bad guy gets his just desserts, no matter how unlikely it is to occur. But then that’s what the Twilight Zone is for. When Helen Foley meets not one but two strange people on the same day she suddenly becomes in a struggle to remember a part of her past that she has buried deep within her subconscious. A young girl is implying her that she needs to remember something about the man she met, who then comes knocking on her door and prying into her life. Okay, so if the premise believable? That a man who remembers her but she doesn’t seem to remember him decides he must return to finish off what he started years ago? To me, no, and while Serling does like to write stories where the bad guy gets what he deserves, this one pushes what I’m willing to accept to its limit. 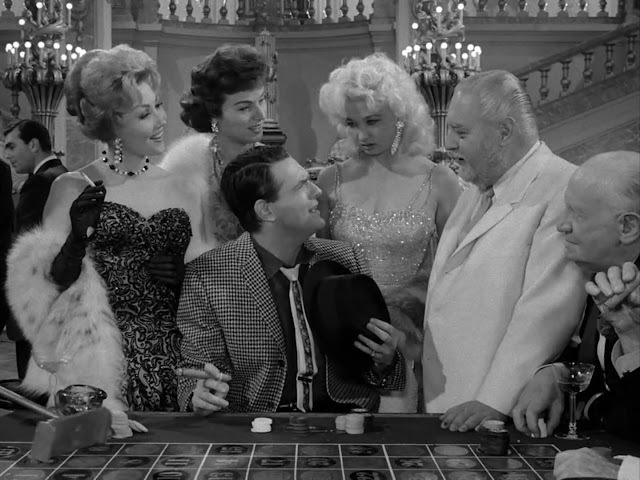 Ah, Charles Beaumont pulls the wool over many people’s eyes in this episode of a career criminal who finally meets his match when he is shot by a policeman during a robbery. When he awakes he finds he has no injuries and has been joined by a man who says he is only there to give him whatever he wants. Rocky is right to be suspicious, and he is, until the point comes where he tries to bump off his mate, only to see that he can’t. It is by now that he realises that he is actually dead, and he believes that he has made it into heaven. Beaumont’s story is cleverly crafted all the way through, as Rocky decides to make the best of his situation and milk it for all it’s worth. 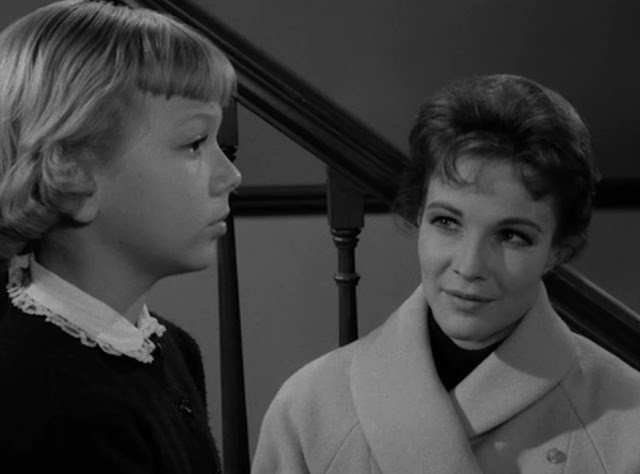 As the episode progresses the viewer can see how such a situation – where the protagonist gets everything they want – seems to weigh him down. And thus when the conclusion comes and the moral of the story is revealed, it all makes sense. While this episode does what you would expect it to, and the guaranteed sombre ending is delivered on cue, it is perhaps this inevitability of doom approaching that makes this episode hard to watch over and over. Perhaps it is the fact that, even though the protagonist Bolie Jackson knows deep down that something happened in his fight, and that he cannot recall just how he won the fight, but remembers having busted knuckles and being on the canvas, he refuses to believe in any way that young Henry Temple is telling the truth when he says he wished for him not to get hurt. Surely in this case (yes, I am aware that it is just a TV programme, not ‘real’ life) you would agree with the boy and move on. But no, Bolie continues to deny he received any help from magic, even when Henry tells him he must believe or it will all reverse. There’s a whole lot of irony being thrown around in this tale of a scientist who has invented a time machine, and decides to bring a person from the past into the present to not only learn from that past but to get his thoughts on what his future looks like. Well, that’s a great idea, unless the person you pluck from the past was in the process of being hanged for multiple mass murders. Well, that’s a pickle, so our scientists friend tries to lure our murderer back into the time machine, but instead he killed by him. Our murderer runs outside, but is immediately overwhelmed by the future he has been brought into, and decides that he really wants to go back to his own time. Unfortunately, on his return to the lab, he is confronted by an intruder looking for money, and in their ensuing fight HE is killed. My oh my. Now our burglar starts looking for a safe, but in the process starts up the time machine, and – yep, you guessed it – goes back to where the original murderer came from, the noose, and he is killed, leaving all of those watching trying to work out how the new guy in the fancy duds ended up being at the end of the rope. 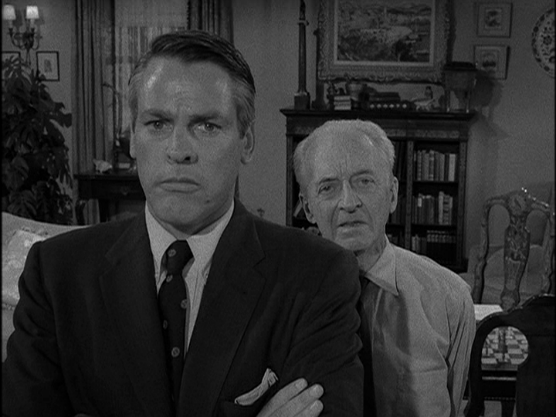 It’s not a perfectly satisfying episode, but as a tome that Rod Serling enjoys so much in making, it has its moments. Songs Of My Life #37. It can be quite a conundrum sometimes. I mean, lets take this song for instance. I don't like most of what Aerosmith has produced. As a rock band they are okay, they have had a couple of moments, but nothing earth shattering. "Walk This Way" is an average rock song. I also don't like most of what Run-DMC has produced. It's just not my style. And yet, put them both together, doing a new and improved cover of this song, and what do you get? Awesomeness! Sure, mainly from the video of the song, which harps on the humour involved and makes it a more enjoyable experience. But I certainly do enjoy this version of this song - despite myself. Photo of the Day #36 Cows in the Mist. The sequel to Gorillas in the Mist. Songs Of My Life #36. The inspiration for the Stutter Rap (see entry a couple of days ago) was the burgeoning popularity of bands like the Beastie Boys. The great thing about these guys is that they didn't take themselves too seriously, and knew that a sense of humour opened up the audience that they could access. For those old enough to remember, no one could ever forget the film clip for this song, and how much it was run on MTV and other clip shows at the time. For those not old enough, watch along and giggle like my kids still do whenever this comes on. Songs Of My Life #35. Goodness knows I loved Doctor Who as a kid, and even now in adulthood. What a great show, and every Doctor has been brilliant in their own way. And the theme music has always been a hit too. I remember reading the short story this is based on many years ago in some science fiction omnibus, and always had trouble remembering if it had been made into a show on some TV programme. Then, whenever I come across this episode, I remember all over again and enjoying thoroughly, only to seemingly forget about it again some time later. Certainly the subject matter has been used in several different ways down through the years, but apart from the story as it was originally written this ends well in true Twilight Zone fashion. Rod Serling changed the original story just enough to help with the irony that makes the Twilight Zone such a terrific show. The idea of life being on other planets, especially those close to us, is a staple of science fiction, and here again the idea is used well. The fact that two men land on Mars, and the optimist Marcusson dies before seeing the outside, and his pessimistic friend Conrad does indeed meet the inhabitants, becomes even more ironic when he finds out what fate has in store for him. 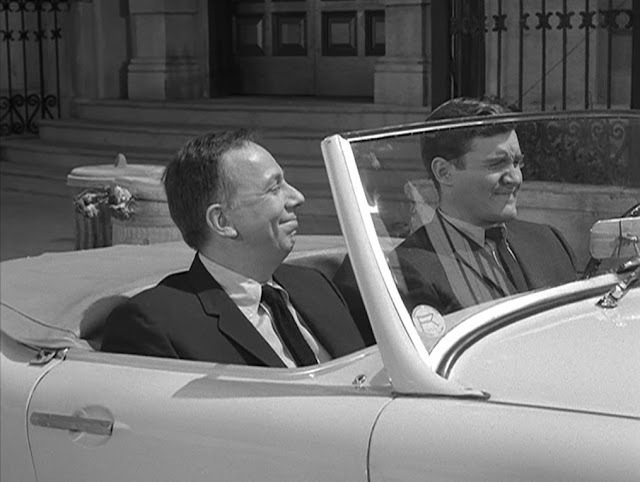 The ending of the episode makes up for any shortfall in the lead up, and makes the whole trip worthwhile for the viewer in true Serling style. Photo of the Day #35. Sunday morning special. Breakfast on the Deck. Good morning Albion Park! Photo of the Day #34. Watching my nephew @flynnparker6 playing his final match of junior cricket this morning. Made a brilliant 53 not out with the bat but failed to make a breakthrough with the ball. Songs Of My Life #34. At a time when rap artists and groups were beginning to make their influence felt on world music, it was the ones that showed at least a glimmer of humour that were of more interest to me than the big ticket ones. This single was a beauty, using humour and current events to make a song that some idiots felt was a direct insult to people who suffer from a stutter. Instead, it was a brilliant pisstake of everything happening around them at the time. And my kids still love it now, so it must have something going for it. See if you can pick out Queen's John Deacon in the clip, as well as the person who makes numerous appearances in the series Red Dwarf. Photo of the Day #33 (yesterday). My niece @charliparkerr_ decided to take a few selfies on my phone for me. She's such a beautiful girl that I thought I should share one with you all. There’s something inherently interesting about a story of someone who has lived an extraordinarily long time, and as a result has become a teacher and can teach from the perspective of one who has lived through history. Such is the role of Walter Jameson, who is doing just such a thing, with his original diary from the American Civil War. He thinks he’s fine, until his future father-in-law does a little digging, as discovers his secret, forcing Jameson to confide in him his story. The first half of this episode works well for me. However, once we delve into the part of the story that paints him as a man who marries young women but abandons them as they grow old and he doesn’t, well that doesn’t quite sit right with me. It seems a little too convenient to have the eventual demise of such a character to be by the bullet of a rejected former lover. I like the idea of the episode, but personally I think it could have branched off into a more interesting direction that of an eternally young man who abandons his chosen wives as they grow old. The idea deserved a better conclusion than that. Songs Of My Life #33. Growing up in the 1980's, there were two shows on TV that I watched that really fanned the flames of me wanting to start a band or be in a band. One was the kids TV show called Pugwall on Channel 9 on weekday afternoons (it's actually on YouTube if you want to check it out - pretty daggy then and much the same now). The other was Sweet & Sour on the ABC on Wednesday nights. It was David Reyne's launch of his acting/hosting career, while Tracey Mann and Arky Michael went on to bigger things. The song is... well... very 80's, but it reminds me of those days watching and dreaming of maybe one day doing music myself. Photo of the Day #32 Three kids doing homework in varying degrees of enthusiasm and helpfulness. Songs Of My Life #32. In the middle of my burgeoning obsession with heavy metal in the final years of high school, James Reyne released his self titled solo album, and caused a bit of a blip on those other sounds revolving around me. This single in particular grabbed my attention, and thus out of all of the music I was listening to and discovering during 1987, this became one of the few entries that didn't fall into that heavy metal genre. This still has a great riff and I still love this song, and a lot of the album as well. *Throws on best Orstraylan accent* Great Aussie Rawk!! Photo of the Day #31 Early morning shot looking west. Red sky at dawn... and all that rubbish. Songs Of My Life #31. Aaaaahhh... Eye of the Tiger. Great line from a great movie, that Survivor then wrote a great song around. There is no one who dislikes this song. NO ONE! Whenever the night before a big game of cricket came along, I always watched Rocky III as the psych-up beforehand. And of course this was the song that created the excitement, the atmosphere. It's a pity it only worked for one cricket final, but that's still better than none. This is another perfect example of how the Twilight Zone as an entity can be used in the best way. 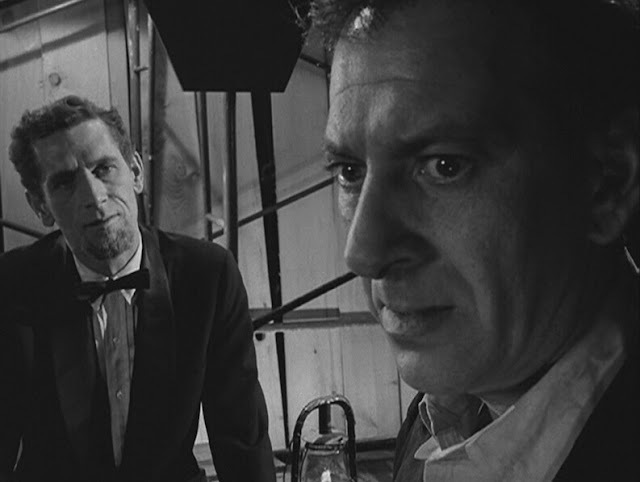 The distortion between fantasy and reality for the protagonist involved, and the way it is played out, gives the viewer a choice as to believing what they choose – that our protagonist is losing his sanity in the tough situation he finds himself in for his ‘reality’, or he has moved into that other dimension of The Twilight Zone, which turns his world upside down. It is cleverly written and acted. 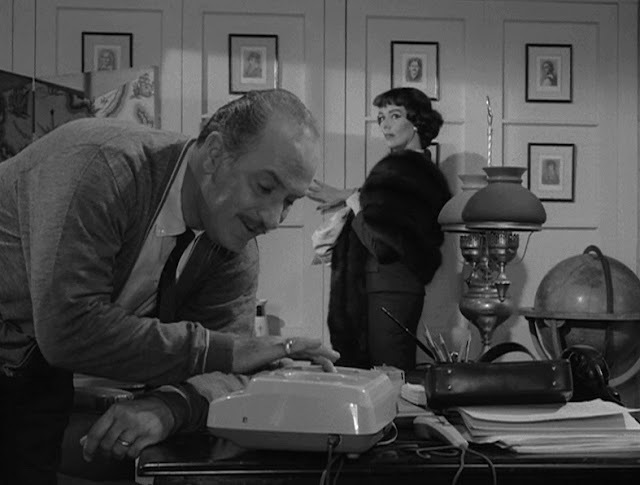 Arthur Curtis is planning to take a trip with his wife while in his office, when suddenly a man shouts out “cut!” and he finds himself on a sound stage. 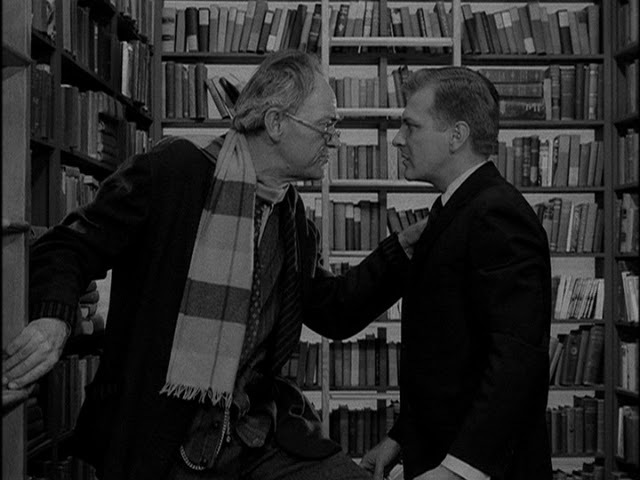 He is not in his office at all, he is in fact filming a show as the character Arthur Curtis, and his life as Gerald Raigan is completely different from what he imagines it is. Now he has to work out if he has lost his mind, or if not, he has to work out how to escape this version of reality and return to his own. 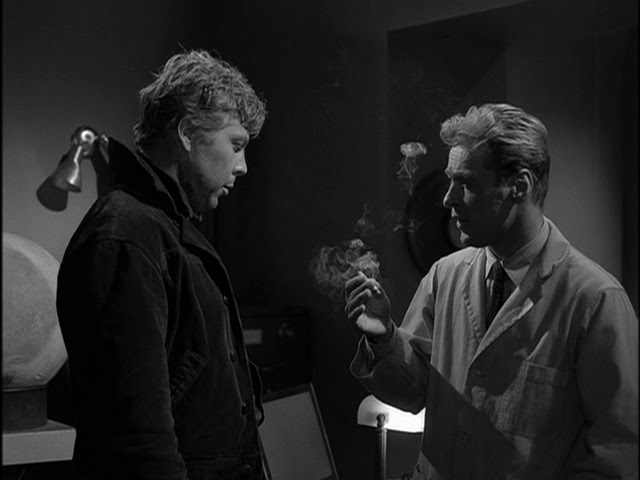 As with most of Richard Matheson’s work, this ties up nicely at the end, following all of the expected paths that could be foreseen in this scenario, and allows the two realities to converge for both sides to have their conclusion. Photo of the Day #30. The return of soccer with the first training of the season. Maddi is "training" with me in the foreground. Josh is in the background in his orange cap. This song was the first I had heard of the band Death Angel. It is the opening track from their Act III album, and I can only say that the sounds of the ocean lapping at the shore that starts the song did not prepare me for what came afterwards. The amazing thrash metal vibes combined with a harmony that belies the typically rudimentary thoughts of the genre by the average music listener combine to make this track, and the album as a whole, an outright classic.